Well, here's looking at you, Messrs Dan Fox, Liberty Ellman and Stephan Crump (from right to left). Collectively, they are known as Rosetta Trio and they'll be performing this Friday (November 1) at Firehouse 12, 45 Crown Street in New Haven. Formed in 2005 by bassist Crump (Vijay Iyer Trio, Jen Chapin's Group) to perform music composed in the aftermath of September 11, 2001, the ensemble sonically blends the sound of Fox's electric guitar with Ellman's acoustic guitar and the leader's acoustic bass. While the music is often low in volume, there is an intensity to the performances and a forward motion that does not flag (even though there is not a drummer.) Crump can be a very rhythmic player and both guitarists take turns supplying the "beat." What there is an abundance of on the group's 3 CDs (the latest, "Thwirl"was issued earlier this month on Sunnyside Records) are well-constructed melodies, fine interplay and smart solos. As the group has continued to work together (they also recorded with Crump's wife Jen Chapin), the line between composition and improvisation has become blurred and, to be honest, that should not make any difference in your enjoyment of this music. Rosetta Trio plays 2 sets - 8:30 and 10 p.m. - and you can make reservations by going to firehouse12.com. To learn more about the ensemble, go to stephancrump.com/projects/rosetta-trio/. Over a career that now spans 3 decades, Matthew Shipp has played in numerous ensembles (most notably, the David. S. Ware Quartet and in various formations with Roscoe Mitchell and Rob Brown) while releasing over 40 recordings as a leader or co-leader. He continues to mature as a composer and pianist, to make musical decisions that surprise both the long-time listener and newcomer. "Piano Sutras" (Thirsty Ear) comes almost 4 years after his previous solo effort for the label "4 D". With the exception of a short version of Wayne Shorter's "Nefertiti" (2:18) and an even shorter reading of John Coltrane's "Giant Steps" (1:11), Matthew Shipp composed the material. The title track opens quietly but with a strong melody line moving the piece forward. Some long-time Shipp listeners may be surprised by the bluesy turn of "Cosmic Shuffle" but the left hand, on several occasions, creates quite a "swing" rhythm. The pianist has always created music that has intense chordal work - you can hear that on this recording as well - but here, he often goes on a melodic tear that pulls the listener along. Shipp also employs silence or short, dramatic, pauses to great effect on pieces such as "Space Bubble" and "Cosmic Dust", the latter piece containing phrases that one feels as if he has heard on a Bud Powell piece but, no...these original songs are just that - original. There's the sonic image of tolling bells that rise out of the forceful chords that one hears all through "Indivisible", the final track of the CD. 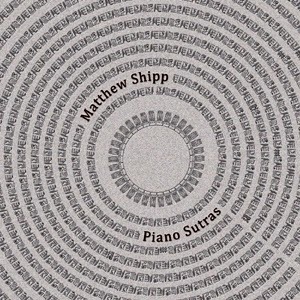 Sit down and listen to "Piano Sutras" from beginning to end. All but 2 of the tracks are under 5 minutes yet the music does not sound rushed, forced or unfinished. Instead, the music flows in its various streams, much like a river after a big rain, the movement on top changing course constantly while the undercurrents remain strong. 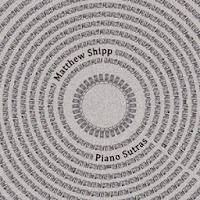 I have spoken to a number of musicians who say that there are songs always running through their head; Matthew Shipp brings his interior soundtrack to the surface in such original and persuasive ways. For more information, go to www.matthewshipp.com. Drummer/composer Deric Dickens hails from South Georgia and now lives in Brooklyn, New York. His self-released 2011 debut, "Speed Date", was a series of 20 duets, 6 of which were created with the instruction to keep the musical interactions under 1:14. For his new CD, "Oh Lovely Appearance" (also self-released), there are no restrictions on the length of the tracks (3 of the 10 are over 5 minutes) and there are now 3 musicians playing the music. The drummer calls the trio The Dickens Campaign, with Kirk Knuffke (cornet) returning from the debut CD and guitarist Jesse Lewis (Jon Irabagon, Ike Sturm, Michael Webster) filling out the ensemble. In his notes, Dickens call the album "an homage to musical archivist Alan Lomax. 4 of the pieces come from the Lomax collection and there is a strong Americana feel that permeates the tracks. There's the hard-edged blues of Henry Truvillion's "Roustabout Holler", a piece from the 1930s that Dickens rearranges to give its a Black Keys-type feel (Knuffke rises above the fray with a fiery solo.) The title track is an old prayer ("Oh Lovely Appearance of Death") that Dickens re-imagines as a country blues (with just a hint of a Celtic influence in the guitar accompaniment.) The modified skiffle beat of "As I Went Out for a Ramble" (credited to Hazel Hudson) has the feel of a Johnny Cash song from the late 1950s, only with Lewis on acoustic guitar. William Walker's "Hallelujah" dates from the mid-1800s and is a gospel favorite, especially among shape-note singers. Dickens keeps a steady beat while Knuffke and Lewis share the melody. Elsewhere, there's the soulful "My Baby Likes to Sing" that sounds a lot like Ray Charles' "Unchain My Heart"; the track features a strong cornet solo and great rhythm work from Lewis. The slow blues of "I Should Have Known" features a blazing, blues-drenched, guitar solo and a sly turn on the cornet. "Twice My Heavy" would not sound out of place on a Buddy Guy recording, a simple melody over a steady rhythm. More squalling guitar work that sounds great pouring out of the speakers. Dickens ode to one of his inspirations, the late Paul Motian, bears the drummer's name and also has a wide-open sound like many of the pieces he recorded over the last 15 years of his life. With Paul Motian, music was not about technique but feel and real emotions. Dickens captures that on his song. "Poem" has a similar feel, with the cornet gliding above the sparse guitar lines and the leader's fine brush work. "Oh Heavenly Appearance" is joyous without being giddy (most of the time), respectful without being too brash, and quite delightful all the way through. 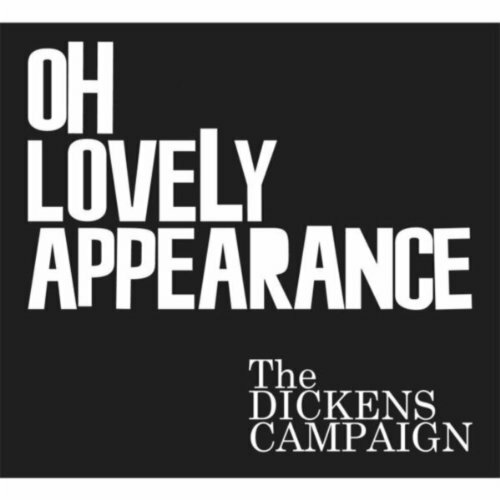 It makes great sense that Deric Dickens created a group name - The Dickens Campaign - because this music is a true group effort. Play it loud, play it often and pray that he takes this show "on the road." For more information, go to www.dericdickens.com. The John Funkhouser Trio - Mr. Funkhouser (piano, keyboards), Greg Loughman (acoustic bass), and Mike Connors (drums) - return to The Buttonwood Tree, 605 Main Street in Middletown. This is the band's 3rd appearance in the last 2 years; this time, they are celebrating the release of "Still" (Jazsyzygy Records), the JFT's 3rd release and first in 4 years. If you have ever seen and heard this ensemble (pictured left) in person, you know how much energy they bring to a live show. Yes, they each have technique to burn (and, there are moments when they let it rip) but are also extremely musical. The material on the new CD ranges from a Latin-inspired romp through Thelonious Monk's "Little Rootie Tootie" to a blues-drenched rendition of "House of the Rising Sun" (featuring a long but emotionally rich bass solo from Loughman) to a long and satisfying journey through the Rodgers/Hart standard "My Romance." There are also 5 Funkhouser originals including the often fiery opener "Indigo Montoya's Great Escape" (named for the pianist's cat) to the multi-sectioned "The Deep"(1 of 3 tracks featuring guitarist Phil Sargent and 1 of 2 featuring the wordless vocals of Aubrey Johnson). Ms. Johnson also appears on "Leda", a ballad that turns up-tempo, propelled by Connors' splendid drum work. The CD closes with the haunting and mysterious title track; it features a fine bass solo, a hint of George Harrison's "Within You, Without You" in the melody line, atmospheric guitar, more splendid drum work and a mesmerizing piano solo. The John Funkhouser Trio is, often, wildly inventive and great fun to watch and listen to - they can also play with grace and sweetness. The Buttonwood gig starts at 8 p.m. this Saturday (10/26). Go to www.buttonwood.org for more information and to reserve a seat (or 2). To learn more about Mr. Funkhouser and his talented comrades, go to www.johnfunkhouser.com. Firehouse 12, 45 Crown Street in New Haven, is in the midst of a fascinating season. Last week (10/18), the Elm City venue welcomed trumpeter/composer Amir ElSaffar and his splendid quintet (Dan Weiss, John Escreet, Ole Mathisen and Dave Ambrosio - wow, did they rock the performance space!) - this week, the spotlight turns to bassist/composer James Ilgenfritz and his splendid band, a quartet that features Angelika Niescier (saxophone), Andrew Drury (drums) and the amazing Denman Maroney (piano). The band's debut CD, "MIND GAMeS", was issued in 2012 on OutNow Records. The music created by the quartet is built upon their interactions, their innate ability to act upon and/or react to what each one is playing. Ilgenfritz is no stranger to challenges, having recorded a solo bass CD of Professor Anthony Braxton's large group compositions. This adventurous quartet plays 2 sets - 8:30 and 10 p.m. - for ticket information, go to firehouse12.org. To learn more about James Ilgenfritz and his music, go to www.jamesilgenfritz.com. 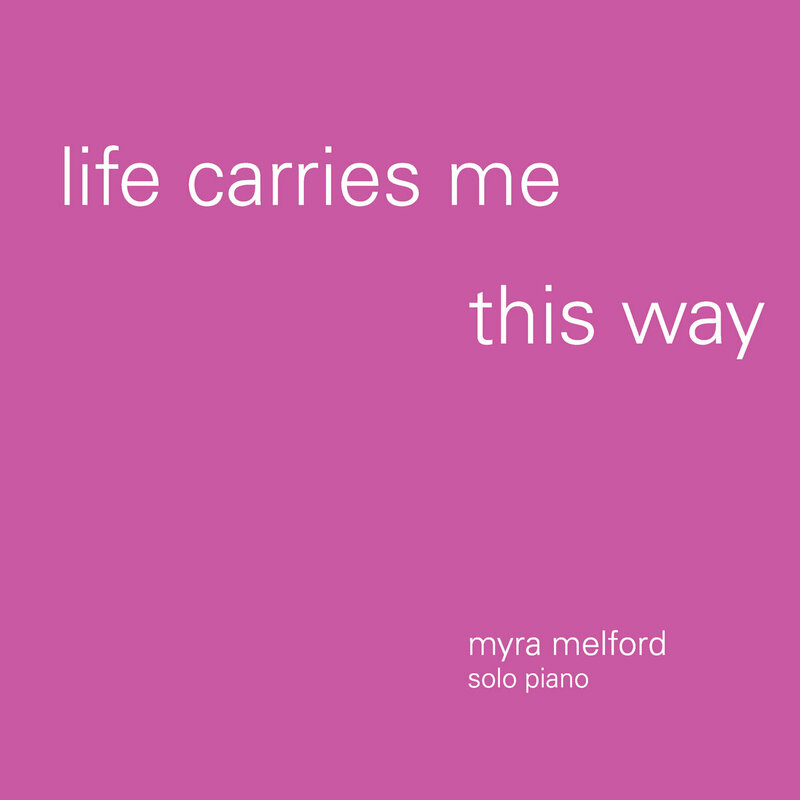 Firehouse 12 Records has just issued "Life Carries Me This Way", a collection of solo piano pieces performed by Myra Melford and inspired by the paintings of her family's life-long friend, Don Reich (1931-2010). Reich, a native of California and long-time resident of Sacramento, responded to Ms. Melford's request for a stack of drawings and paintings for her to interact with and create a series of compositions. The pieces took some time to come to life but the results are remarkable. Some of the credit must go to label head/recording engineer/mixer and mastering engineer Nick Lloyd who also co-created the packaging with his wife Megan Craig. Each of the paintings that inspired the music is included in the booklet as is a short essay from Ms. Melford and a longer look at the painter from his friend, Charles Johnson, the former art critic for the Sacramento Bee. Then, there is the music. Contemplative, rhythmical, challenging, lyrical, often enthralling, every piece makes sense to the listener when looking at the painting that inspired the music. The gentle sounds of "Japanese Music" follows the patterns in the painting, perhaps an overcast day with mist leaving shapes on the windows of the studio. The angular melodic fragments and changes in rhythm of "Piano Music" may be inspired by the different sections of the painting that inspired it, images and colors that flow into each other. "Moonless Night", the painting, features unconnected body parts, Picasso-like, while the music is straight-forward, melodic, minimal left-hand accompaniment, slow, stark, with quiet strength. "Still Life", the exquisite melody that closes the program, is breath-taking in its emotion and execution; the music resonates in your heart and mind long after the final notes fade. You should discover this music for yourself, creating your own responses to the art of both Don Reich and Myra Melford. If you have paid any attention to her music, you already know Ms. Melford takes no short-cuts, does not play "down" to her audience, but does allow her muse to carry her "this way" and "that way." "Life Carries Me This Way" is, simply put, essential listening, timeless and richly rewarding. For more information, go to www.myramelford.com and to firehouse12records.com/releases. Don't forget to look on the right of this column where you will see that "The Jazz Session" is back in business. Thanks to his many supporters, host/interviewer Jason Crane is back doing what he has done so well in the past, speaking with many of the people who create the music that many of us live to listen to. Two shows a month for the foreseeable future and you can still become a supporter. Click on one of the shows to listen and find out more. Welcome back, Jason! Some players get better with age - yes, it's a cliche but quite apropos in light of these 2 excellent recordings. Ken Peplowski (born Cleveland, Ohio on May 23, 1959) has been playing jazz on the clarinet and tenor saxophone since high school. After his first year of college, he was asked to join the Tommy Dorsey Orchestra, led at the time by Buddy Morrow and, while with that ensemble, met saxophonist Sonny Stitt (1924-1982) and studied with him. Peplowski says about the saxophonist " “He was, and is, an inspiration to all of of us who make a living ‘on the road’ – I’ve never heard anybody play with such amazing consistency as Sonny, through all kinds of settings.” In 1980, Peplowski moved to New York City and has been working ever since, playing all styles of music and playing it extremely well. "Maybe September" (Capri Records) finds leading a group with Ted Rosenthal (piano), Martin Wind (bass) and Matt Wilson (drums). As befitting the Edward Hopper painting on the cover ("Gas", 1940), the music is often subdued. Opening with Irving Berlin's "All Alone by the Telephone", Peplowski's splendid clarinet imbues the melody with great emotion, sticking fairly close to the melody while Wilson supports him on the cymbals, Rosenthal plays short figures behind the melody and Wind plays counterpoint. The drummer is fairly subdued - to know Matt Wilson is to see personification of playfulness - yet, throughout this program, he makes sure the spotlight is squarely on the leader. Still, he dances gleefully on Artie Shaw's "Moon Ray", struts like a peacock on the old "country 'n' western" classic "(Now and Then There's) A Fool Such as I" and deftly guides the rhythm on Duke Ellington's "Main Stem." His cymbal work is gentle throughout the first half "Caroline, No" (the Brian Wilson tune), a song that the leader "sings" on tenor saxophone; in the second half, he contributes fine floor tom work. There seem to be few hints of Stitt in his saxophone work, more of Ben Webster, Coleman Hawkins and Paul Gonsalves (especially on the Ellington song) and a touch of Lester Young. "Maybe September" does, at times, feel like music for Autumn but there is also a good amount of playful interactions between the members of the quartet. Everyone plays well, with both spirit and sensitivity, making music that is warm and inviting, like hot tea or a glass of vintage port. Ken Peplowski possesses a wonderful tone on clarinet and a bluesy yet melodic breathiness on tenor saxophone. Kudos also to Martin Wind, Ted Rosenthal and Matt Wilson for their warmth and classy musicianship. For more information, go to caprirecords.com/artists/ken-peplowski. Tom Harrell (June 6, 1946, Urbana, Il) has recorded a slew of Lps and CDs over a career that spans nearly 4 decades for labels such as Steeplechase, Contemporary, Criss Cross, Chesky, RCA, and now, with release of "Colors of a Dream", his 5th recording for High Note Records. This is his first recording for the label that does not feature his Quintet, although group members Wayne Escoffery (tenor saxophone), Ugonna Okegwo (bass) and Johnathan Blake (drums) are an integral part of the session (the only one Quintet member missing is pianist Danny Grissett.) For this material, Harrell fills out the group and sound with Jaleel Shaw (alto saxophone) and Esperanza Spalding (bass, voice). The addition of Ms. Spalding is no marketing gimmick; her work with fellow Okegwo adds an exciting element to many of the tracks and her wordless vocals on 7 of the 11 cuts adds yet another layer to the front line of reeds and brass. The one track where she sings lyrics is "Velejar", originally recorded by its lyricist Fleurine in 1996 on a CD with Harrell (the composer) as part of the band. The rest of the program features pieces that range from Latin-influenced tunes such as "Tango" that opens the CD to the "straight-ahead hard bop" of "Blues 2013" to the shifting tempos of the instrumental "Walkaway" where the dialogue of Shaw and Escoffery on top matches the intense dialogue of the 2 basses beneath, all fired by the splendid drum work of Blake. Harrell's flugelhorn solo on the track is short but stands out in how it shifts the intensity and sets the stage for the bass solos. It's just trumpet and the 2 bassists on "Family", a Brazilian flavored tune carried along by the gentle force of the basses. Harrell's solo also has many layers, going from melodic phrases to bluesy interjections, his lines bobbing like a boat on a wind-swept lake. Johnathan Blake, who is making quite a name as a first-call drummer, fires up many of the tracks. His driving, unrelenting, propulsion on "Goin' Out" is a treat and makes one want to dance (in the liner notes, Harrell notes the influence of James Brown, Stevie Wonder and Earth, Wind & Fire in his composing for the horns but you cannot ignore the funk on this track.) Blake is still fiery but more tempered on the energetic "State", allowing for the voices and saxophones to carry the piece. Escoffery unleashes an imposing solo that is followed by the leader's more restrained statement, all powered by the drummer's insistent drive. The drummer locks in with the bassists for the sensuous "Phantasy in Latin" which is notable for the 4 "voices" on the melody and Harrell's long solo romp. And, 'romp", he does, as he soars above the rhythm section with glee. The saxophonists sit out "Even If", a blazing r'n'b influenced dance tune with humorous asides in the trumpet solo, an appealing bouncy bass line and Ms. Spalding's lithe vocals in sync with the leader. 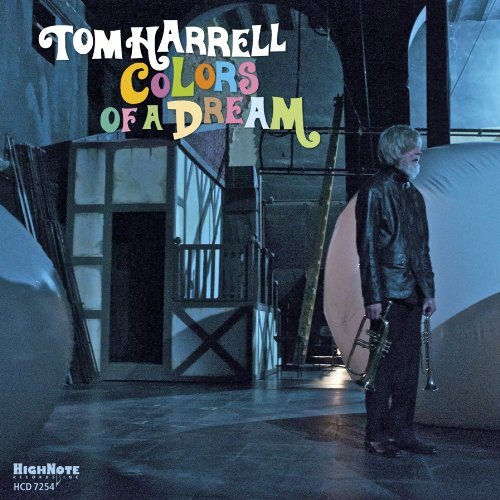 "Colors of a Dream" is another impressive step forward for Tom Harrell. Like his contemporaries Herbie Hancock and Wayne Shorter, Harrell is always "in the moment", rarely, if ever, looking back. Whatever he heard in his mind while conceiving of this project is brought to reality by his wise choice of associates. The excellent mix (by Dave Darlington of Bass Hit Recording in New York City) puts the basses in the forefront without sacrificing any of the nuances of the brass, reeds and voice. All told, these "Colors" stand out! For more information, go to www.tomharrell.com. Iraqi-American composer/trumpeter Amir ElSaffar has just issued his 4th CD for Pi Recordings. "Alchemy" features his wonderfully accomplished band including the young British-born pianist John Escreet, bassist Francois Moutin, drummer Dan Weiss and tenor and soprano saxophonist Ole Mathisen. The music he has composed and arranged continues ElSaffar's exploration of Iraq's maqam music now filtered through the time he has spent in recent living in Egypt and the jazz he has played in the United States. This music, like much of what he has produced up until now, has great urgency, relying heavily on Weiss to handle the intense rhythms and the lightning-like tempo changes. (On his American recordings, ElSaffar has employed drummers who understand world music - this is Weiss's first CD as the group's percussionist with previous albums featuring Nasheet Waits (twice) and Alex Cline.) Escreet, who has technique to burn but rarely shows off, often creates trance-like chord patterns for the other soloists. Mathisen, who is one busy musician (working with Randy Brecker, Paula Cole, and Peter Erskine as well as leading his own group plus co-leading Ffear with trombonist Chris Washburne), is a fine foil for the trumpeter, a hardy and heady player not afraid to dig into a solo. Moutin, like Weiss, is not only the foundation of many of the tracks but also his interactions show strength and intelligence. The new CD contains the 3-part "Ishtarum Suite", 4 selections from the "Alchemy Suite" and 3 more pieces, all composed by ElSaffar. This music jumps out at you with its rhythmic intensity, with the harmonic variations of the trumpet and saxophone plus the intelligent work of pianist Escreet. For an excellent overview of this music, go to pirecordings.com/album/pi51. Amir ElSaffar (pictured above left) is bringing this fine music and group (Dave Ambrosio replaces bassist Moutin on this gig) to Firehouse 12, 45 Crown Street in New Haven this Friday October 18. They will be playing music from the new CD and one expects that the intensity level will be very high in the splendid performance space. They'll play 2 sets - 8:30 and 10 p.m. - and you can find out more by going to firehouse12.com or calling 203-785-0468. In a fun twist, ElSaffar and Escreet will be back at the Firehouse in 4 weeks as part of flutist Jamie Baum's Sextet. That group is also playing the next evening (November 16th) at The Side Door in Old Lyme, Ms. Baum is touring in support of her brilliant new Sunnyside album, "In This Life." For ticket information, click on the link above or go to thesidedoorjazz.com/. John Escreet, born 29 years ago in Doncaster, England, has just issued a new CD, his 5th as a leader and first for the British label, Whirlwind Recordings. "Sabotage and Celebration" features a core group composed on Escreet (acoustic piano, Fender Rhodes, harpsichord), David Binney (alto and soprano saxophones), Chris Potter (tenor saxophone), Matt Brewer (bass) and Jim Black (drums) plus a 5-piece string section, a brass section of Shane Endsley (trumpet) and Josh Roseman (trombone) and appearances by Adam Rogers (guitar) as well as vocalists Louis Cole, Genevieve Artadi and Nina Geiger (all on 1 track). Escreet composed all the tracks, did all the arrangements and produced the sessions. This music grabs one by the collar and rarely lets go for just under 53 minutes. Recorded 1 day after the 2012 US Presidential election, the music has an urgency and a sense of release that reflects how many Americans felt after the long election cycle . Opening with "Axis Of Hope", a short work scored for strings only, the rhythm section jumps in at the beginning the second track, "He Who Dares", followed by the saxophonists playing the Frank Zappa-like theme supported by brass section. Binney solos first and he tears into his spot like a man possessed followed by the leader who pushes against Black who responds in kind. Potter solos after a recapitulation of the theme, digging deep and letting fly as the strings flow behind him. The title song follows and is definitely the tale of the 2 actions. The swirling opening, which moves out of tempo in raging fashion as the horns wail and squeal while Black and Brewer parry and thrust. leads into a hard-edged piano solo that softens as it comes to a close. The "celebration" section is a true release with the rhythm section creating a furious pace beneath a glorious piano solo followed by a blazing tenor saxophone statement. 21 minutes into the program and you might find yourself gasping for air but overjoyed as well. There is a true sense of passion in Escreet's playing and in his original melodies. As the program moves along, there are softer moments including the opening few minutes of lovely "Beyond Your Wildest Dreams" that closes the CD. After a wordless vocal interlude, the band gallops ahead, Binney solos on soprano (rare for him), the strings bow furiously alongside and all move to an exciting climax. 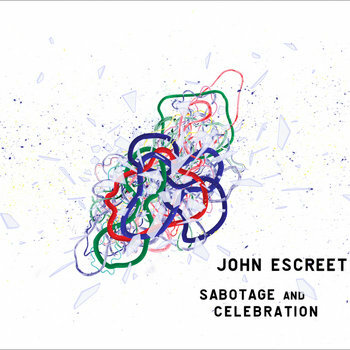 "Sabotage and Celebration" is an impressive step forward for John Escreet, whose career up to this point has been filled with giant steps. They has never been any doubt about his ability to play; now, his compositions and arrangements illustrate his maturity and sense of exploration. For more information, go to www.johnescreet.com or www.whirlwindrecordings.com. The Griffith Hiltz Trio - Nathan Hiltz (guitars, bass pedals), Johnny Griffith (alto and tenor saxophones, bass clarinet) and Sly Juhas (drums) - move away from the more straight-ahead style of their debut CD and head into a bop-blues-fusion playground on "This Is What You Get..." (self-released). There are moments when the trio reminds of the 1970s British jazz-rock trio, Back Door. There is a small similarity in the melodies of some but the earlier group had a heavier feel led by the highly amplified bass of Colin Hodgkinson. Here, it's Hiltz providing the bass lines with foot pedals while he's either soloing or playing funsky rhythm guitar. This is music for a sunny day, whether it's the bouncy bop of "For Otis", the fiery rock sound of "Strawman" (and, in a wonderful twist, Hiltz plays a solo on Banjo-tar..yes,a banjo with the neck of a guitar) or the modal swing of "Bone Arm." Juhas is a solid drummer, playing with fire when called for but usually providing a steady beat with fine cymbal work. He and Hiltz lock in on the high-energy title track, the guitarist's chords providing excitement in support of Griffith's solo. For his part, Hiltz plays his most rock-oriented solo on the same cut. The only "cover tune" on the CD is, of all choices, a sweet take on "Rainbow Connection" from 1979's "Muppet Movie." Griffith plays bass clarinet here and it's a smart choice, not only because he plays the instrument well but also the lower, woodier, tone of the instrument fits the quiet route the Trio chose for the piece. "This is What You Get..." is the appropriate title for this CD from the Toronto, Canada-based Griffith Hiltz Trio. Few if any frills, this effort is played by 3 musicians having what sounds like tons of fun, enjoying the "groove", serious about their music but not taking themselves too seriously. Check it out. For more information, go to griffithhiltztrio.com. The Uncertainty Music Series, curated by bassist/composer Carl Testa, continues tonight (10/12) with at double bill commencing at 8 p.m. in the performance space of Never Ending Books, 810 State Street in New Haven. Scheduled to perform is the duo of Tom Crean & Matt Robidoux, known as Banjo Assault (yes, avant-garde banjo music) and Jonah Parzen-Johnson (pictured left), who will play a set of music for solo baritone saxophone and analog synthesizer. Parzen-Johnson, born in Chicago and now a resident of Brooklyn, NY, blends a love for American folk music with creative music to create a unique repertoire for his instrument. To find out more, go to jonahpj.com. To find out more about tonight's show, go to uncertaintymusic.com. Got a stack of CDs that really deserve my attention (and yours) so, this week, I'll try to get to 1 or 2 every day - remember, I wrote "try to." In 2008, the USDS, along with Jazz at Lincoln Center, sponsored a tour of East Africa by pianist/composer Ryan Cohan and his quartet(the second time Cohen took a group overseas). His musical impressions of the month-long tour to Rwanda and Zimbabwe are captured on "The River" (Motema Music), his 5th CD as a leader and, arguably, his best. The music, played by an exceptional septet featuring John Wojciechiowski (saxophones, flutes), Geof Bradfield (saxophones, bass clarinet), Tito Carillo (trumpet, flugelhorn), Lorin Cohen (bass and cousin of the pianist), Kobie Watkins (drums) and Samuel Torres (percussion), is rich with rhythms of all sorts but stands out for the pianist's excellent compositions. 6 of the 14 tracks are short improvised motifs gathered under the title of "River"; the remaining 8 tells "stories" of the cities the composer visited, the people he met, the natural wonders encountered along the way, the music he heard and played and the resilience of music in the face of political uncertainty. The soloists are strong throughout, especially the pianist, while the rhythm section truly fires up the band. One hears blues in the piano work on "Brother Fifi", a piece dedicated to a fellow pianist who has lived through horrible tragedies and in the band's interactions on "Call and Response". The rhythms/spirit of the music of Abdullah Ibrahim (the South African pianist/composer whose music has inspired many a composer) can be felt on "Last Night at The Mannenberg", a piece also inspired by a mbira (thumb piano) choir Cohan had heard on that day. "The River" should be listened to all in one sitting; the music is so joyous and infectious, you might want to immediately play it again. Ryan Cohan, on this recording, has taken the sights, sounds, smell and interactions of the trip, and translated them into a musical experience that not only entertains us but is a positive reminder of the power of music. For more information, go to ryancohan.com. It's always a sonic adventure when alto saxophonist/composer Tim Berne comes to Firehouse 12, 45 Crown Street in New Haven. He's back for the second time this year on Friday October 11 (he appeared as part of Ches Smith's These Arches on June 14) with his Snakeoil quartet - Smith (drums, percussion, vibraphone), Oscar Noriega (clarinet, bass clarinet) and Matt Mitchell (piano, keyboards). Snakeoil is touring in support of its new CD, "Shadow Man", the band's second effort for ECM Records. The recording is yet another stellar effort form Berne, with songs that whisper, shout, bang, knock, caress, played by 4 musicians who know each other well and have no fear exploring the composer's episodic pieces. Tim Berne's Snakeoil plays 2 sets - 8:30 and 10 p.m. - one should expect music that is challenging and, ultimately, rewarding. For ticket information, go to firehouse12.com or call 203-785-0468. To find out more about Mr. Berne and his band, go to www.screwgunrecords.com. Percussionist/composer/producer/author Brian Adler is celebrating October in a big way. He's issued a new book, "A World of Percussion", in which he illustrates a plethora of hand-held, hand beaten, and stick-played percussion instruments. His Circavision label has gathered 13 tracks he and a good number of co-creators have recorded over the past 4+years that were only released as mp3s and issued them all together on "Helium Music Project." Along the way, Adler traveled to numerous places to record. He overdubbed vocals from people such as Kate McGarry, Nicky Schrire, Wendy Gilles, and Heather Masse. The results are often mesmerizing, filled with emotion and pulsing with rich rhythmic interplay. Now, Brian Adler is taking 3 fellow musicians on the road for 3 consecutive nights starting at 8 p.m. on Friday October 11 at The Buttonwood Tree, 605 Main Street in Middletown. Besides Adler on drums and percussion, HMP includes Danny Fox (piano), Mark Lau (bass) and Nick Kadajski (alto saxophone). With influences that span the globe, Helium Music Project is a treat for the ears, mind and feet (hard to sit still, at times). The following night, HMP will play at 8 p.m. in The Space Gallery in Portland, Maine and finish the busy weekend on Sunday with a 5 p.m. gig in Cambridge, Massachusetts at The Lily Pad. For more music, go to www.brianadler.com. For tickets to the Middletown date, go to www.buttonwood.org. My interview with Brian can be heard as part of my Sunday 10/06 radio show by going to www.wliswmrd.net and clicking the "On-Demand" button. Guitarist/composer Mary Halvorson continues to be one of the busiest young musicians in creative music. She leads her own Trio and Quintet, co-leads a duo with violist Jessica Pavone as well as a duo with bassist Stephan Crump, and has a cooperative trio called Thumbscrew with bassist Michael Formanek and drummer Tomas Fujiwara plus one with saxophonist Jim Hobbs and cornetist Taylor Ho Bynum dubbed Aych. Add to that numerous sideman dates with Professor Anthony Braxton, Curtis Hasselbring's New Mellow Edwards and Fomanek's Ensemble Kolossus. Get the picture? Her new Firehouse 12 Records release, "Illusionary Sea", expands her already exciting Quintet (saxophonist Jon Irabagon, trumpeter Jonathan Finlayson, bassist John Hebert and drummer Ches Smith) by adding the unique musical voices of Ingrid Laubrock (tenor saxophone) and Jacob Garchik (trombone). My first impression of this music is that many of the pieces had a real bounce, a rhythmic excitement, that propelled the pieces forward. There is still plenty of creative interplay; that can't be helped when John Hebert and Ches Smith are the rhythm section. Both are rhythmically strong but also very melodic players. When you listen to the slippery "funk" of the title track that opens the program, it's hard not to tap your feet. The "progressive rock" feel of "Smiles of Great Men"(Ms. Halvorson's guitar solo conjured up images of King Crimson, the edition that featured guitarist Adrian Belew and drummer Bill Bruford. The playful melody line over a modified cha-cha beat also has splendid counterpoint. Even with 7 musicians, this music rarely sounds cluttered or dis-organized. Garchik's solo spots throughout the program are impressive as is his "section" work while Ms. Laubrock blends her voice well within the ensemble. Irabagon, who is noted for his exciting solos, does not disappoint - his "romp" on "Butterfly Orbit" is delightful as are the sounds of Ms. Halvorson's "chatty" guitar and Smith's "melodic" percussion. When the guitarist steps out, she hits the "volume" pedal and lets fly. Finlayson's strong trumpet work continues to dazzle, his clear, bright, tones rising above the ensemble. His opening statement on "Fourth Dimensional Confession" stands out, especially when his tones blend with the saxophones and the trombone counterpoint. The CD closes with the one non-original, a fine adaptation of Phillip Catherine's "Nairam." Stalwart fans of Mary Halvorson's music may miss the "wilder" edge that often permeates her original music but "Illusionary Sea" displays her maturation as a composer and arranger as well as her splendid guitar work. It's been an aural treat and quite an adventure seeing and hearing the many different routes her music has taken and will continue to take. For more information, go to firehouse12records.com/album/illusionary-sea. There, you can purchase the CD or a digital download or the limited edition Deluxe Vinyl 2-Lp set. Over the past 35 years, drummer Billy Mintz has created a career that illustrates just how a versatile musician makes his way through the "crazy" world of jazz and creative music. He's anchored bands led by saxophonists such as Lee Konitz, Vinny Golia and Pete Christlieb. He's worked with pianists Mose Allison and Alan Broadbent as well as vocalists such as Mark Murphy and Gloria Gaynor. Nowadays, he lives in New York City where he often works with pianists such as Russ Lossing, Hal Galper and Roberta Piket. Ms. Piket, who is married to Mr. Mintz, is part of the Mintz Quartet whose self-titled CD has just been issued on Thirteenth Note Records. Completing the band are veteran West Coast musicians Putter Smith (acoustic bass) and John Gross (tenor saxophone). The aura of the music of latter-day Paul Motian, Charlie Haden's Quartet West and Thelonious Monk's rhythmic experiments informs the compositions of Billy Mintz bit does not really "describe" the music. Over the course of 12 tracks, the quartet "rocks", swings, struts, goes "out", stays "in" - in other words, the composer plays to the strengths of his fellow musicians. The best pieces are conversations; for instance, "Shmear" moves forward on Mintz's forceful snare and quiet cymbal work, with Smith and Gross interjecting comments while Ms. Piket takes a forceful solo while, the very next track, "Cannonball", finds the pianist on organ for a funky venture. To his credit, Gross does not imitate the Adderley "sound" but has his own bluesy feel. Ms. Piket's organ solo drips with funk while her husband creates a slinky groove. I'm reminded of the late Larry Young on "Retribution" when Ms. Piket's work eschews the familiar blues or gospel feel for the organ, moving into territory that blends a melodic feel with longer tones. Throughout the program, Mintz's cymbal work is exemplary. His high-hat dance on the chorus of "Dit" is delightful while his interactions with Smith play against Gross and Ms. Piket on their respective solos (her piano work is quite exciting in its scope and playfulness.) The drummer also displays his melodic side on pieces like "Haunted", a duo for tenor sax and piano that may remind some of vintage 1940s movie music. The rubato "Beautiful" has the feel of the John Coltrane Quartet, especially in the interplay of saxophone and piano on the theme - the following track, "Ugly Beautiful", has a harder edge with considerable fire from the Quartet. Often, reviewers stumble when making comparisons, believing readers need to be guided into a program. When one comes upon a CD like this one, from the Mintz Quartet, one is better off leaving the listener to fend for his or her self. Simply put, this is good music, informed by many different strands of modern music, made stronger by the splendid musicianship of all involved. Roberta Piket's keyboard work is exemplary, John Gross's tenor saxophone work is forceful, at times minimalistic and, at other times, hardy and Putter Smith's bass, while a bit under-recorded, is the glue that holds most tracks together. Billy Mintz stands out as the leader, the composer and for understanding that his compeers know what they are doing with his music. For more information, go to www.billymintz.com/billy_quartet.html.